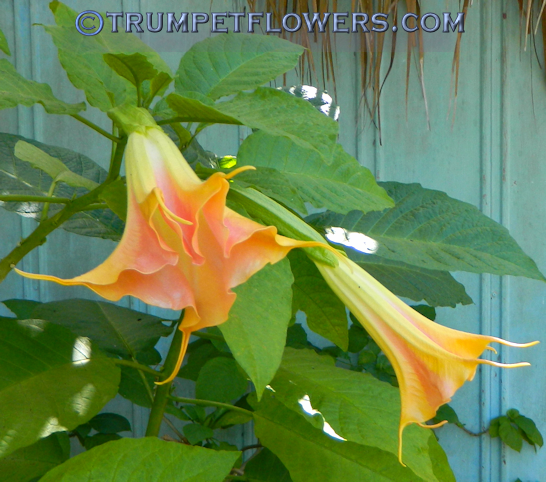 Mango Crush is a very pretty bloom. 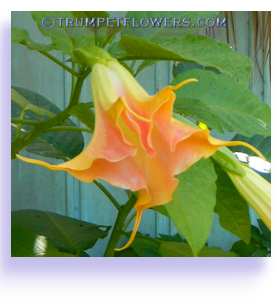 Brugmansia Mango Crush is a Susie French creation. 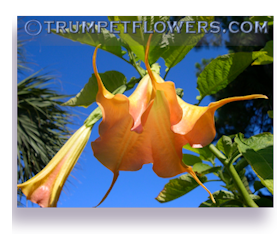 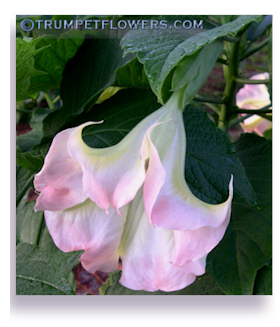 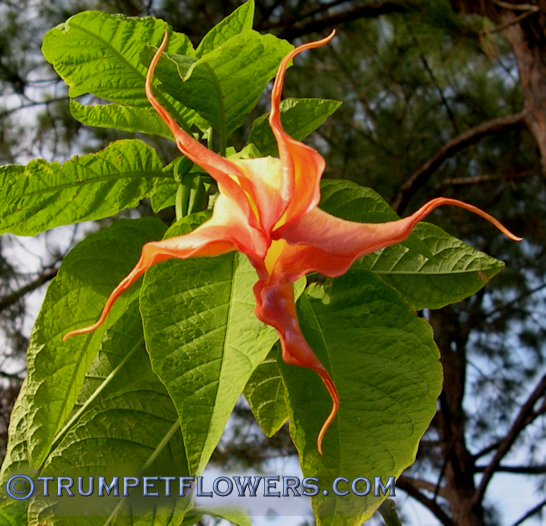 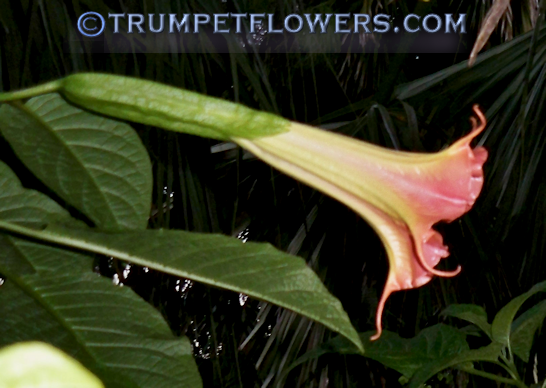 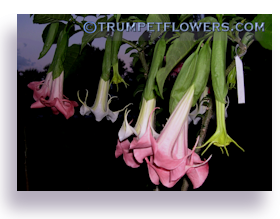 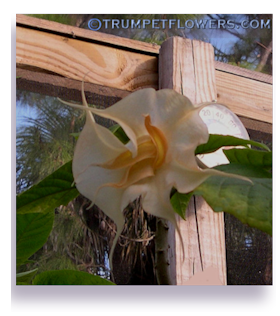 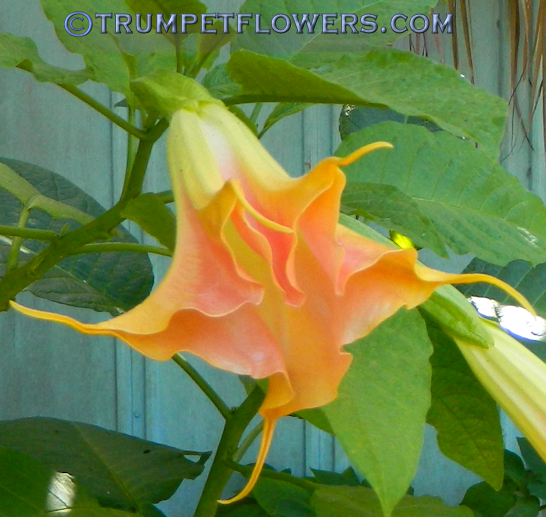 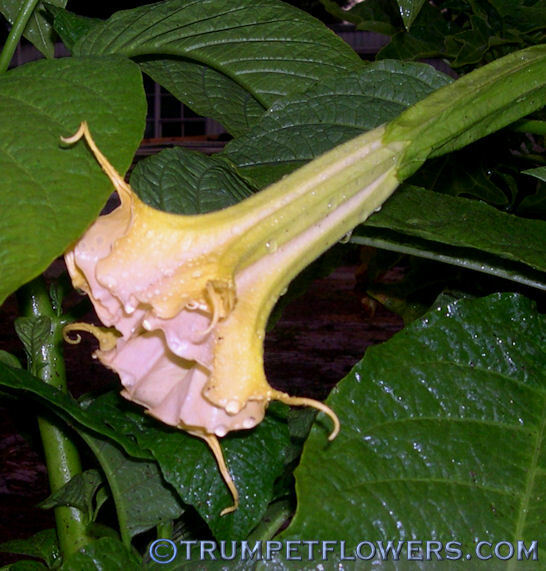 This is one of the bigger angel trumpets, only making it&apos;s Y after vigorous juvenile growth of the trunk. 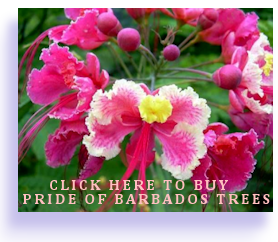 This results in a tall tree, with branches over your head, as well as loads of the blooms swaying on the breeze. 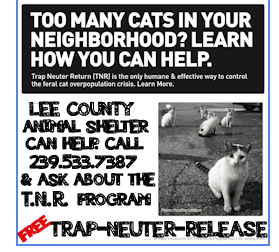 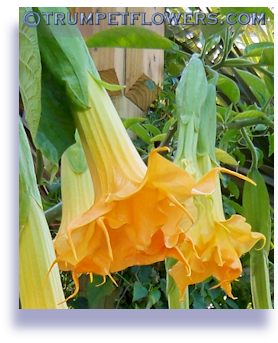 Can reach 20 feet if in ground, after several years of proper care. 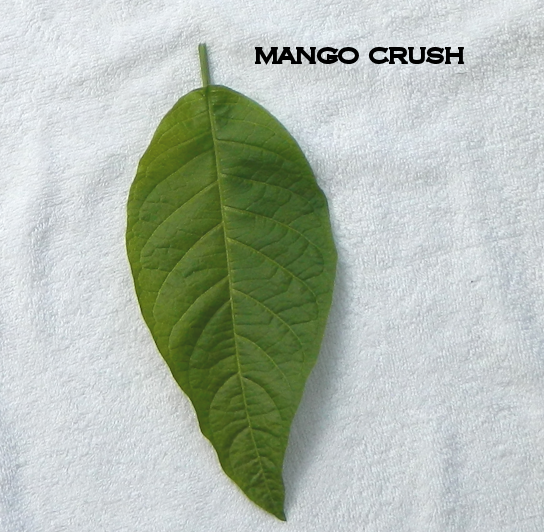 Mango Crush smells very strongly. 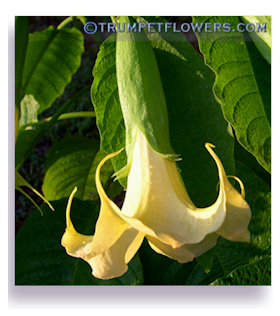 To my nose, it is a fruity vanilla fragrance. 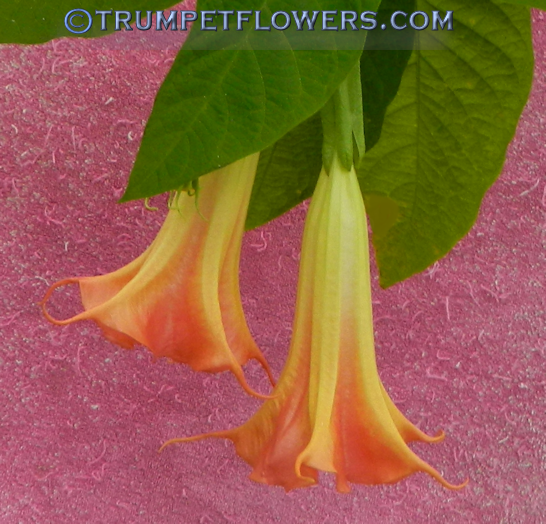 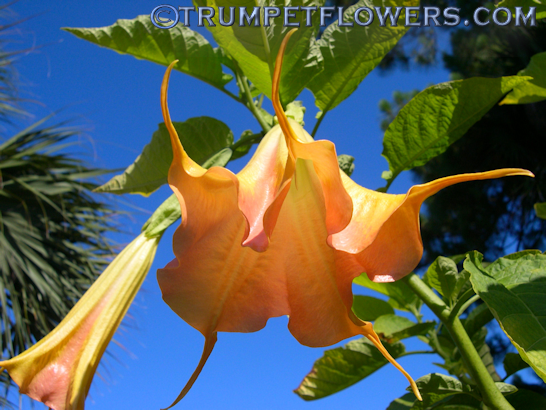 Brugmansia Mango Crush is parented by L&apos;Amour X Rosamond, and published in 2004.
mango Crush Brugmansia always displays limey green leaves, that are shiny and glossy. 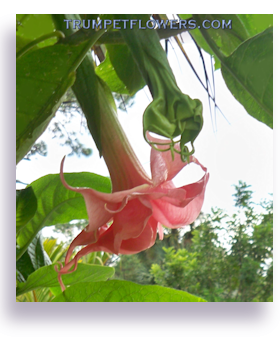 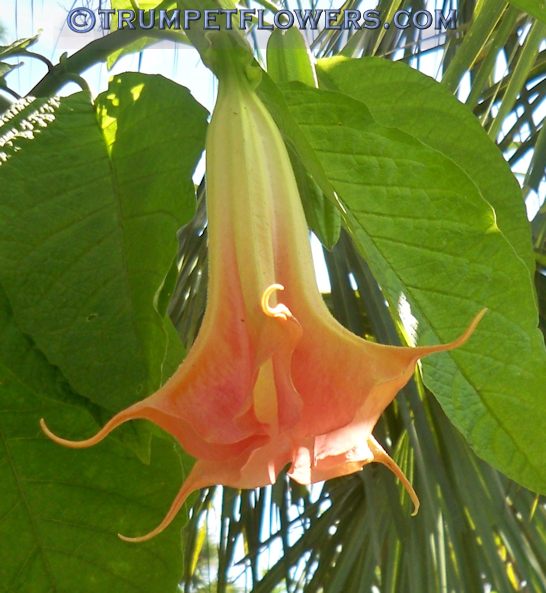 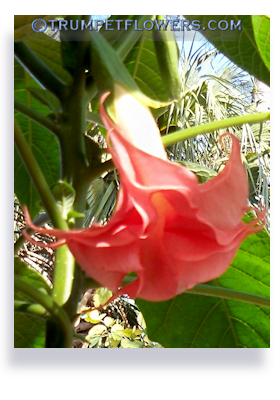 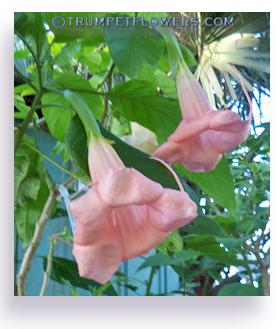 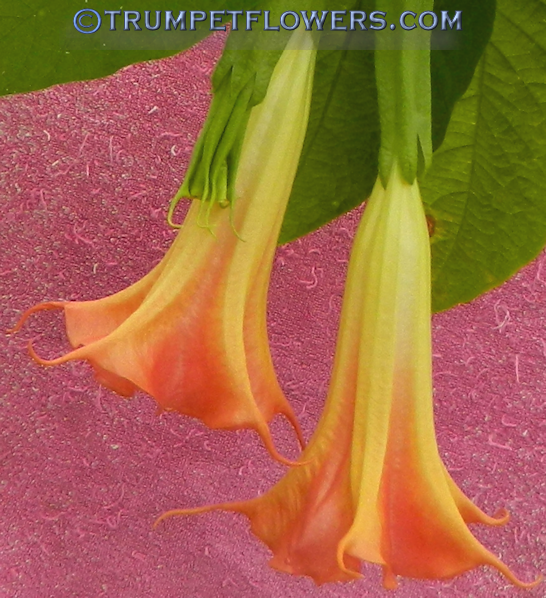 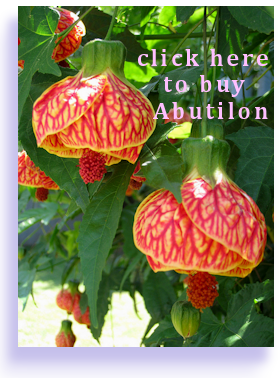 This entry was posted on March 11th, 2012 and is filed under Brugmansia Gallery.